Third floor apartment without elevator with sea view, equipped with wi-fi, air conditioning, TV. 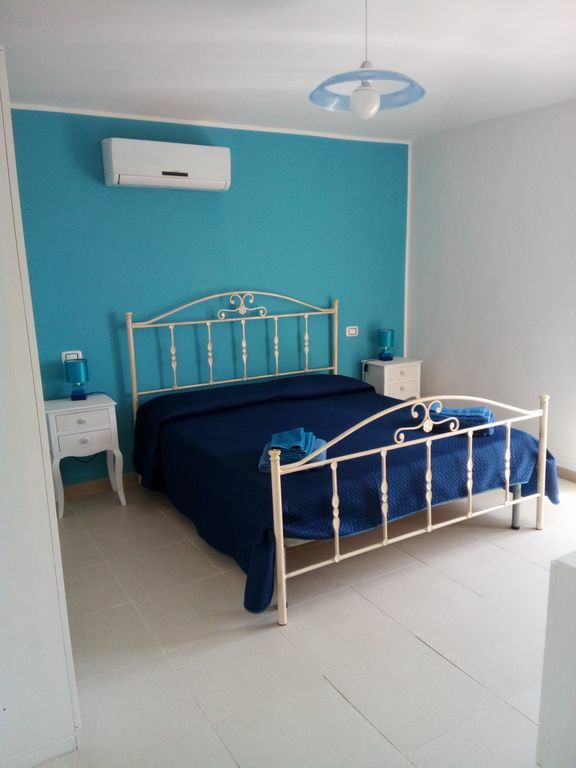 It consists of two bedrooms with double beds and TV, bathroom with shower and hairdryer, kitchenette with kettle, induction fires, electric oven. There is also a terrace with a table and chairs and a tent. The price includes an umbrella with two beds at a private beach 500 meters away. Numerous activities, from hiking to archaeological parks, trekking in the mountains to cooking classes and recognition of plants can be arranged for a fee. contact me before arrival to arrange these activities. Santa Caterina dello Jonio is a village on the Ionian coast, ideal for relaxing and enjoying typical products and admiring the remains of the ancient Greek colonization. It is possible to go hiking in the mountains or practice water sports, take part in traditional cooking classes, do massages or yoga and fitness classes. my guests during the summer season have at their disposal an umbrella and two beds at an exclusive private beach 500 meters from the apartment and can take advantage of the grove behind the beach to cool off.